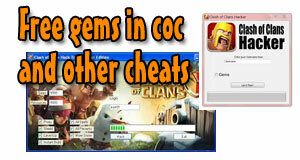 People ask us all the time about any clash of clans cheats or the possibility to get free gems in the game. This sounds attractive right? We try to cover all the cheats on this page. 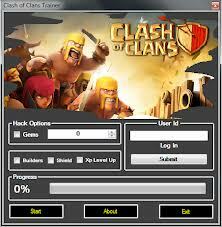 We know, you didn’t come to this page to read this but there are no real cheats available for clash of clans. 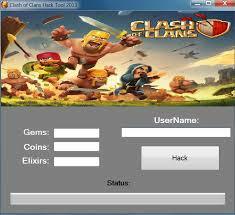 You will find lots and we mean lots of websites that claim they have a cheat tool that will give you free gems or unlimited gold or elixir. Beware for these websites! All they want you to do is to subscribe to their advertisers or to let you download malware! There is no real program that gives you free gems, gold, elixir or dark elixir! Most websites that offer free gems or resources will let you subscribe to a service, fill out a survey or do some other activity that benefits them. After that you can download the program. But instead of offering you the program to download you get served a virus, malware or more surveys. Example 1, this tool offers free gems. It does nothing. Coc unlimitid resources? This is a dummy tool! 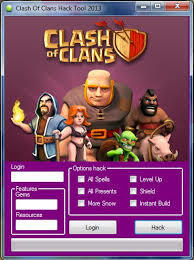 These kind of coc hacks are offered on lots of websites.